Reminder: not all calories are created equal. While you may need a calorie deficit or surplus to hit your goals, paying attention to the types of foods you eat and the types of foods that work with your body is just as important. Macronutrients are helpful in setting a ballpark idea of the types of foods you should be eating. 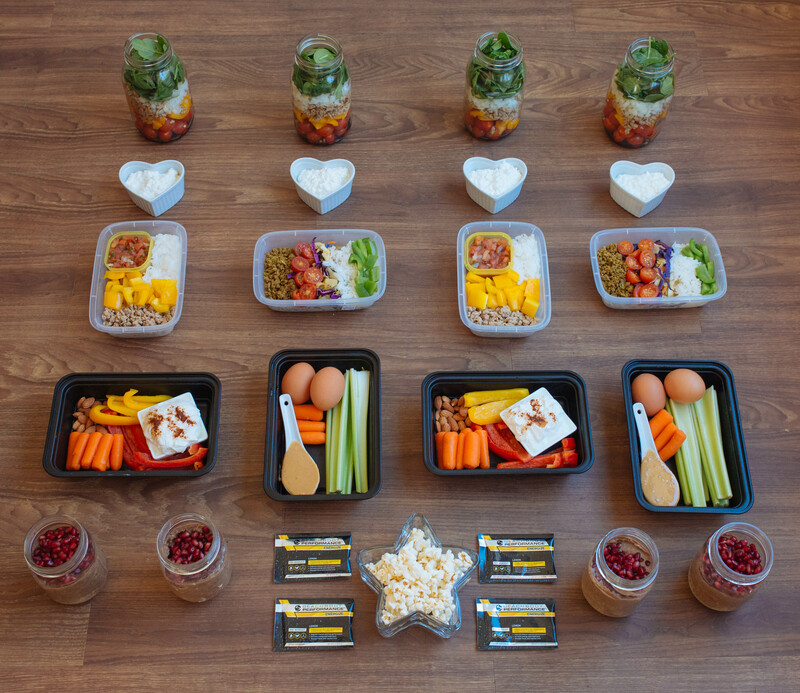 Check out my sample meal plan below. Here’s an example day for me. My total calories for the day are 1,779. I train hard and this is about what I need to maintain my weight! If I’m interested in losing weight, I’d drop my calories by about 200 and decrease my carbs a bit. Currently, I am 5’6″, 138 pounds and about 18% body fat. There’s more food above than you’ll find in the meal plan. I’ll eat some of it on Friday and the rest will hold me over for the weekend! 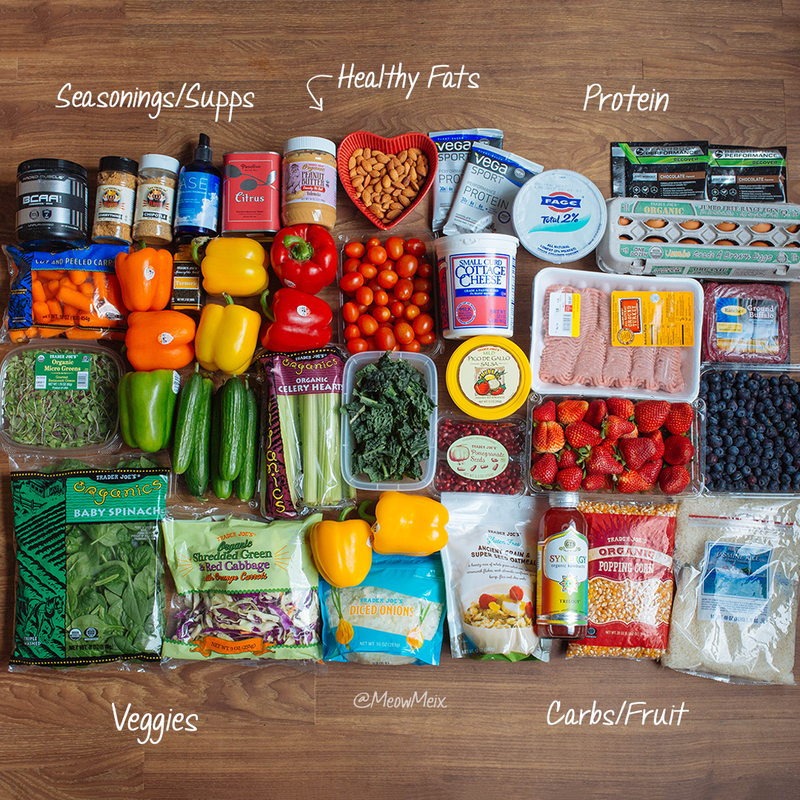 Below are my groceries for the week based on this meal plan. I’m drinking Shakecology. How can I implement it into this meal plan? BTW I love this menu. Excellent post and explanation. I am a huge fan of meal prepping! It really does prevent you from eating unhealthy and making sure you are eating enough! This is so helpful! 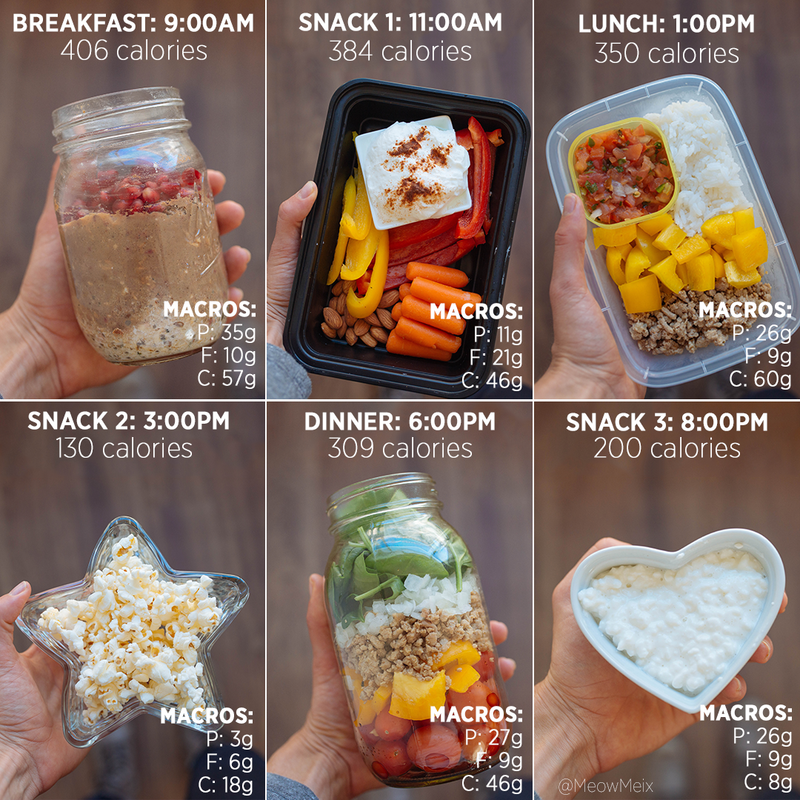 I have been trying to count my macros and meet around the same calorie intake per day as you and it has been such a struggle! I kept finding that I wasn’t eating enough or my breakdown of macros were not what they should be. Definitely using this as a reference this week!